Summer is already around us, it’s time for us to put on beautfiul skirts. Actually, you have a wide range of options. The denim skirts are cool to make you effortless chic while the pencil skirts are more ideal to complete a more formal look. Besides, the midi skirts are quite graceful for all women. Today, we would like to share with you 16 super stylish skirt outfits for summer. Just stay here and get more inspirations from the gallery below. Grey Crop Top With Pencil Skirt Grey Crop Top with Pencil Skirt /via To be an office fashion icon, you can wear your pencil skirt with lace-up sandles and a crop top. It’s a great outfit look to transform you from work to date. Blue Printed Midi-Skirt Outfit Blue Printed Midi-Skirt Outfit / via This blue printed midi-skirt is quite a nice idea to choose if you want a more graceful look. This afternoon we have a super pretty hair tutorial that Jennifer Fujikawa sent over and Blooming Beauty By Cammy created! 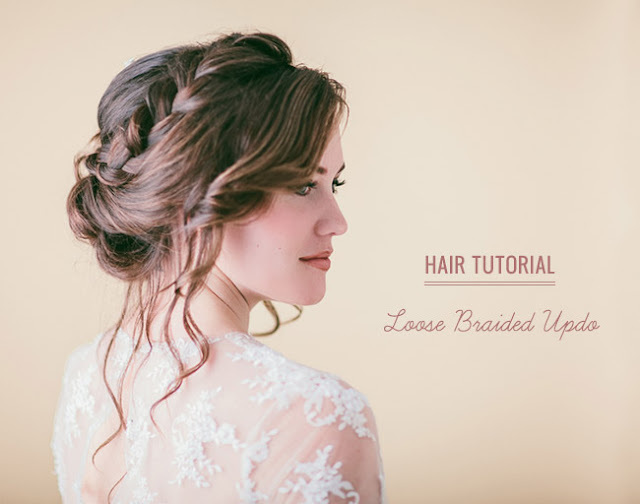 We love braids in hairstyles and this combo of loose curls + french braids is the perfect bohemian look to your wedding day! 2. Now section the top crown area and tease to get the desire height. 3. Make sure the crown area is smoothed out nicely, then pin the back of the hair. Now spray crown area with hairspray. 4. Roll strands of hair in the back and pin it towards the center. 5. Pin up all the hair in the back. 6. French braid the top right section of the hair and tie with rubber band. 7. French braid the left side section and tie with rubber band.